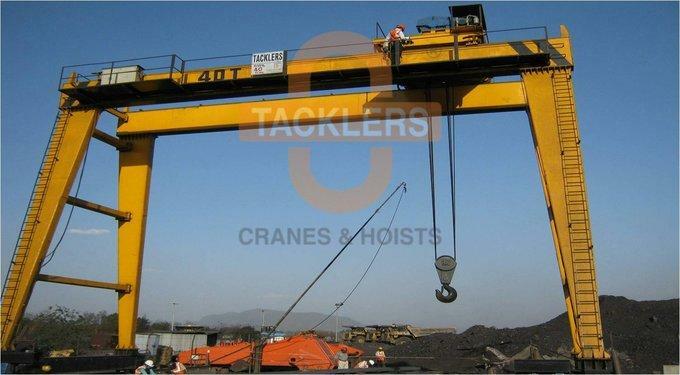 TACKLERS are Manufacturers, Suppliers of Overhead Gantry Cranes are ideally used in various industries and projects by the customers. 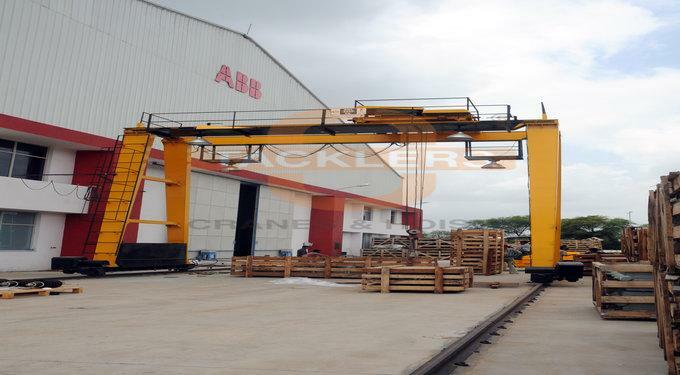 Heavy duty Gantry / Goliath Cranes are Single Girder, Double Girder Semi Gantry Crane available in a variety of styles with capacities ranging from 1 ton to 250 ton. These products are highly demanded in the market. 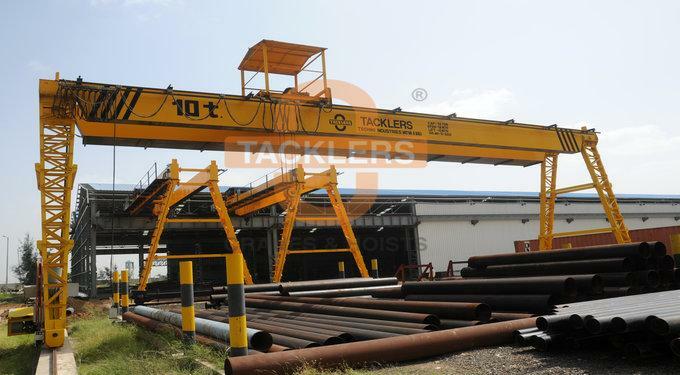 TACKLERS Gantry Cranes or Goliath Cranes are similar to a top running crane except that the crane bridge is supported by legs and the rails are at ground level. 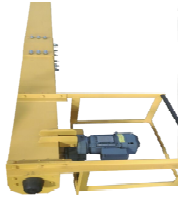 The additional leg structure makes the crane more expensive, this is offset by the considerably cheaper low level rails. That advantage increases with increased track length making them particularly suitable for large outdoor stockyards. There is an additional safety hazard arising from travelling on low level rails which must be considered, but this can usually be taken care of easily and ground level rails can be advantageous compared to the obstruction caused by the building structure columns. 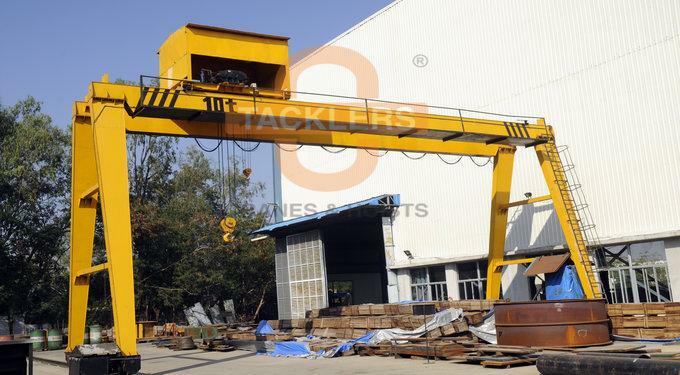 They can be of single or double girder design with similar construction methods. Furthermore they can be designed with a cantilever at one or both ends. 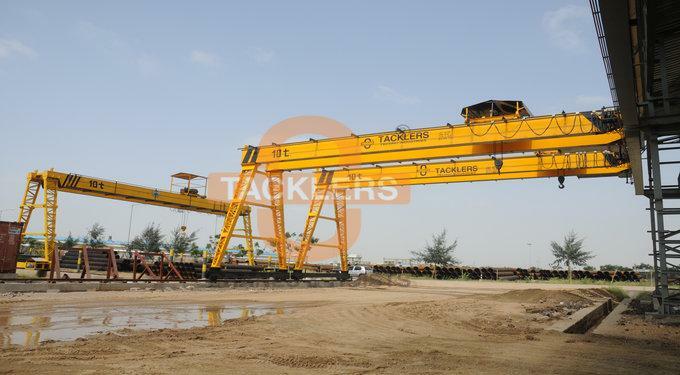 A Semi-Goliath Crane / Semi-Gantry Crane is a hybrid of a goliath and a top running crane with one end of the bridge supported by a high level gantry and the other by a leg running on a low level track. Typically they are used in an area adjoining a building and the high level gantry is integral with the building structure. They are therefore suitable for outdoor stockyards alongside a building but also for indoor use where a full span of the building is not required. Outdoor duty goliath cranes are checked for stability under storm condition. 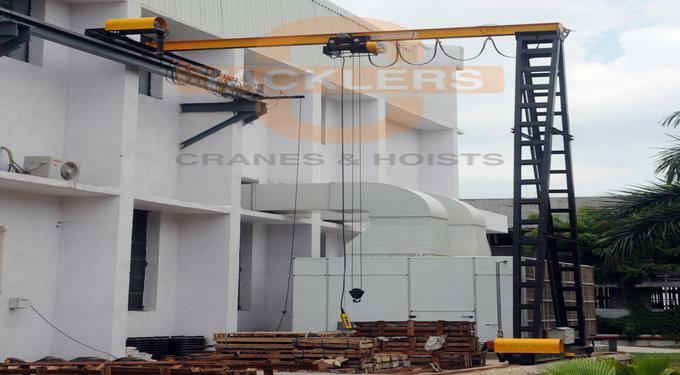 Special storm anchors are provided to prevent toppling of crane under storm condition.